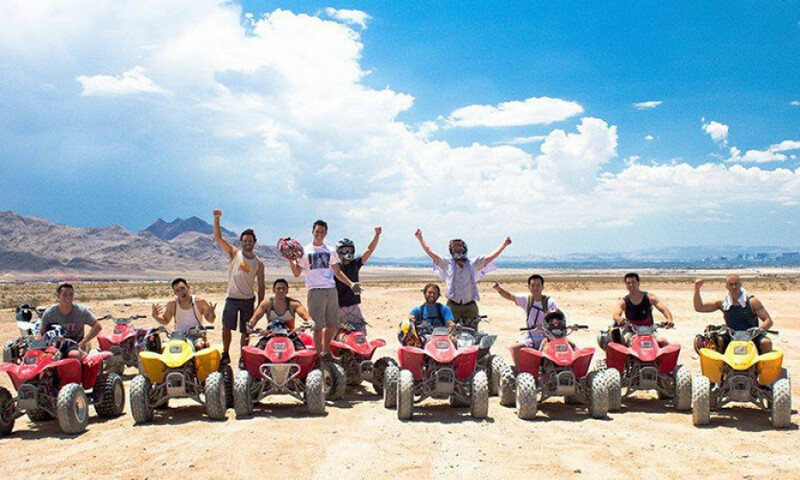 Las Vegas ATV Tours delivers quite the thrill ride, letting up to 75 guests hop on top of ATVs and traverse the scenic Nellis Dunes. As a national off-highway vehicle recreation area, the land is suited to ATV rides. It’s comprised of over 10,000 acres of sand dunes and canyons—ideal conditions for beginners and experts alike to accelerate on their own all-terrain vehicle. For an added dose of excitement, fighter planes from the Nellis Air Force Base soar overhead while the ATVs zoom below.